Beautiful morning in Alpine, Texas. Spent last night at the Holland Hotel after a great dinner at Reata Restaurant. 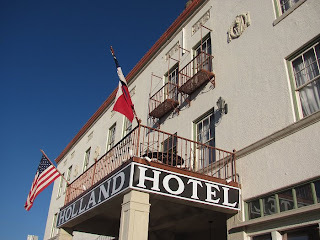 This morning enjoyed a great breakfast at Judy's Bread and Breakfast (compliments of the Holland Hotel). We're heading back to El Paso today.